I met Babu in 1999. Since then he has been my guide on four separate treks. He has also guided several of my friends after I referred them to him. Babu is not just an excellent guide; he has become a good friend due to his cheerfulness, positive manner, and guiding skills. I have enjoyed the hospitality of his family and friends. 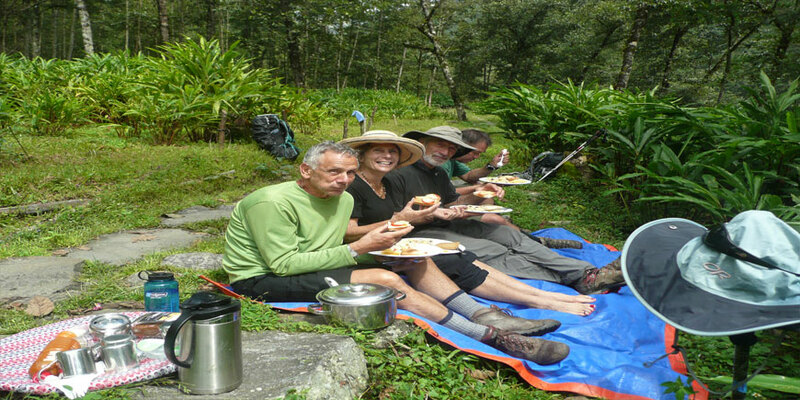 He is able to solve any concerns arising during a trek. En route he is fun to be with and always making sure we are well taken care of. He allows us a glimpse into Nepali society and culture. I am extremely happy to recommend his services as a trekking guide, he will make your trip a pleasant memory, and his fees are reasonable and honest.